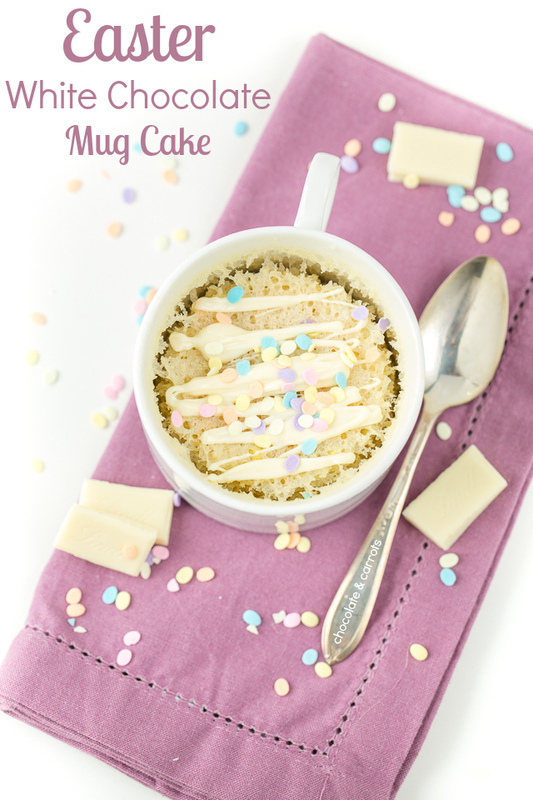 Easter White Chocolate Mug Cake and Easter Inspirations! 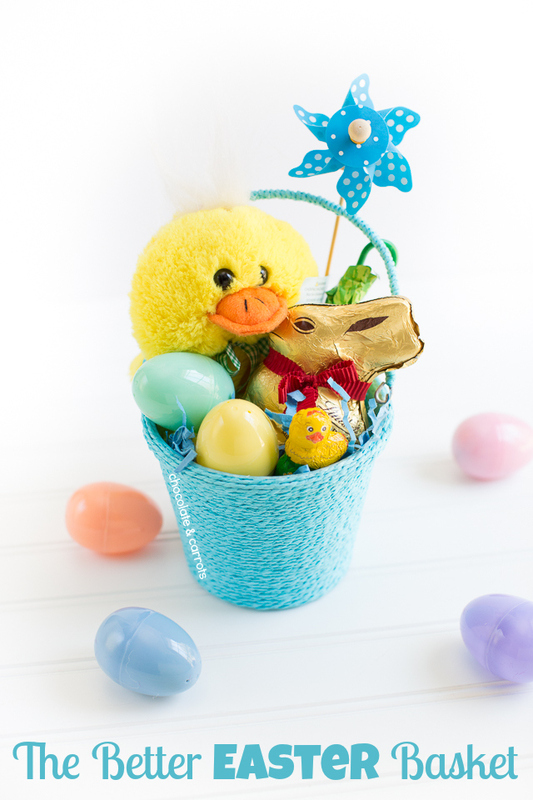 A compilation of Easter ideas including a mug cake recipe, simple tablescape and Easter basket! I was asked by Lindt to share these with you today. I hope you enjoy them! Easter and chocolate go hand in hand. And when I received my box of Lindt chocolates to prepare for this post, I couldn’t help but have a little fun creative time before I got down and dirty. While inhaling many chocolates (My favorite is the Extra Dark LINDOR Truffles Bar! 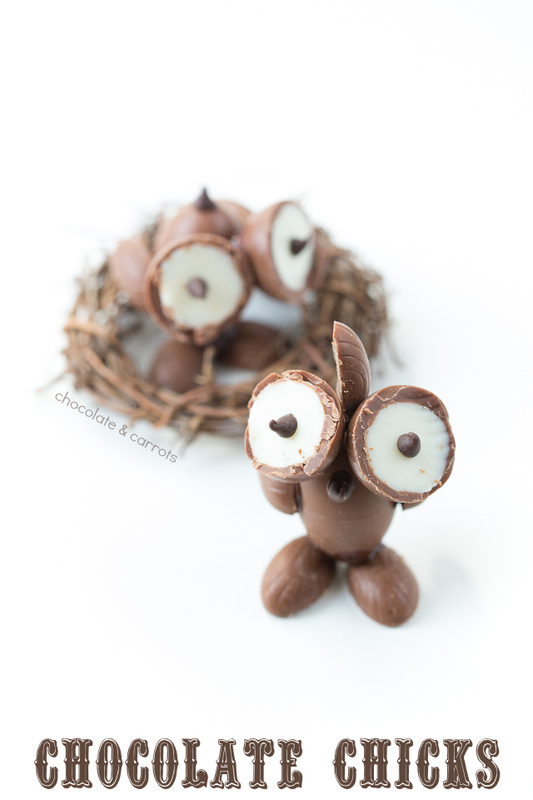 ), I cut a bunch of the different Lindt Truffle Eggs to create these cute little chocolate chicks! I digress. Now, let’s get to the chocolate cake! In this case, we have a white chocolate cake made with Lindt White Chocolate and lots of Easter sprinkles! The White Chocolate Mug Cake is so quick to put together and the flavor is phenomenal. I’m not a huge white chocolate fan, but when I saw the Lindt CLASSIC RECIPE White Chocolate Bar in my box, I couldn’t help but take the challenge. I’ll admit, mug cakes are not the prettiest things in the world, but they sure are tasty! Scroll to the bottom of this page for the recipe. Moving on to more Easter goodies! 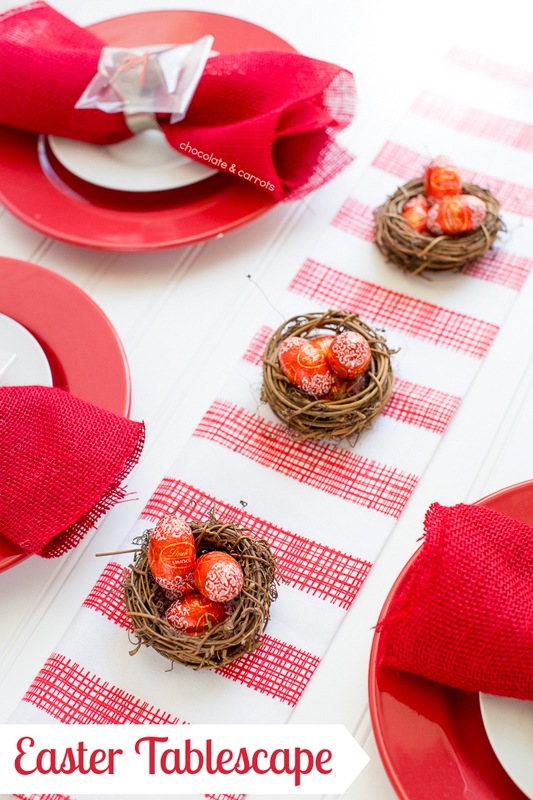 With my Lindt Easter goodies, I was challenged to make a tablescape. So, I went to Hobby Lobby. Boy, that place is dangerous! I instantly feel like I want to make every arts & crafts project known to man. After splurging on a few things I absolutely didn’t need, but HAD to have, I stumbled upon these cute little nests in the wreath and floral aisles. 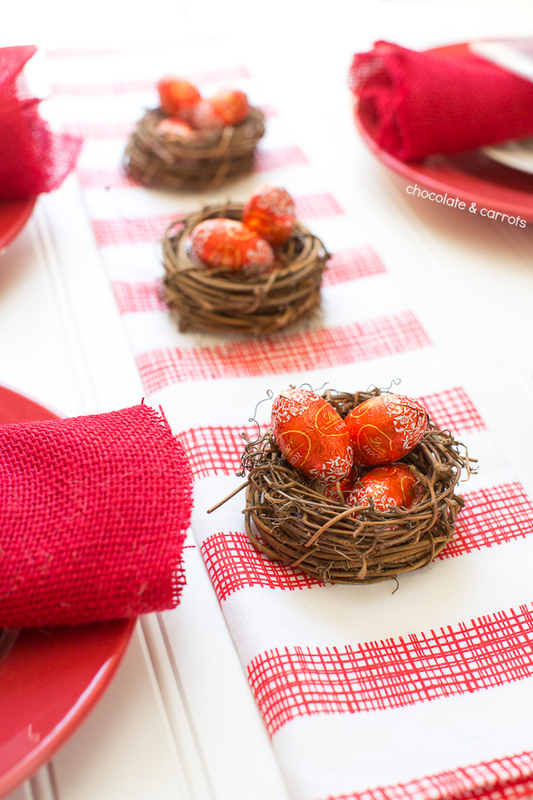 Fill the nests with Lindt chocolate eggs and you’ve got your centerpiece! After thoroughly washing my hands, I unwrapped the mini Lindt GOLD BUNNY figures, tied a little red ribbon around them and placed them in lollipop bags. 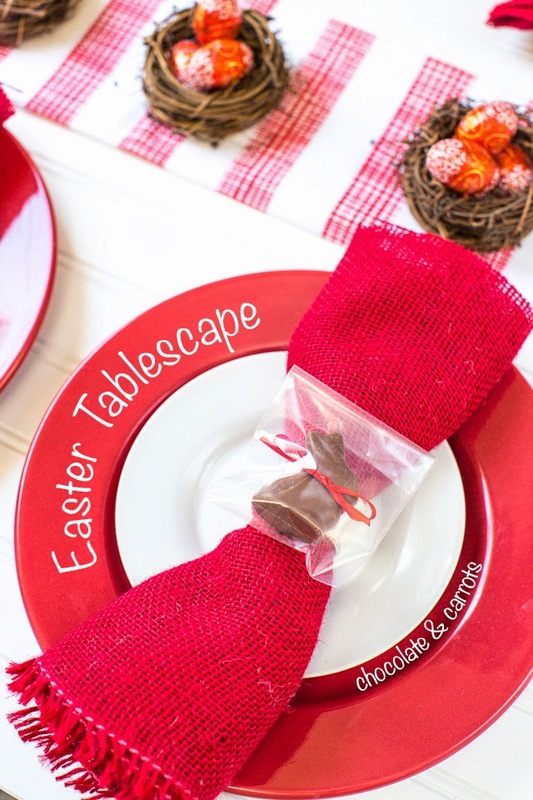 Place them on every place setting and you’ve got yourself a beautiful red & chocolaty Easter tablescape! It’ll last the entire season…unless you get the munchies and devour all the chocolate like I have. Oops. No regrets. The cuteness is overwhelming. I just can’t stand it! As if we hadn’t seen enough cuteness, the Easter Bunny stopped by early to deliver a cute, cuddly and delicious Easter basket for Liam! It’s totally the Better Easter Basket thanks to that Lindt GOLD BUNNY. Did I mention that Liam loves chocolate? He cries when I put it away. Haha! He’s my son. 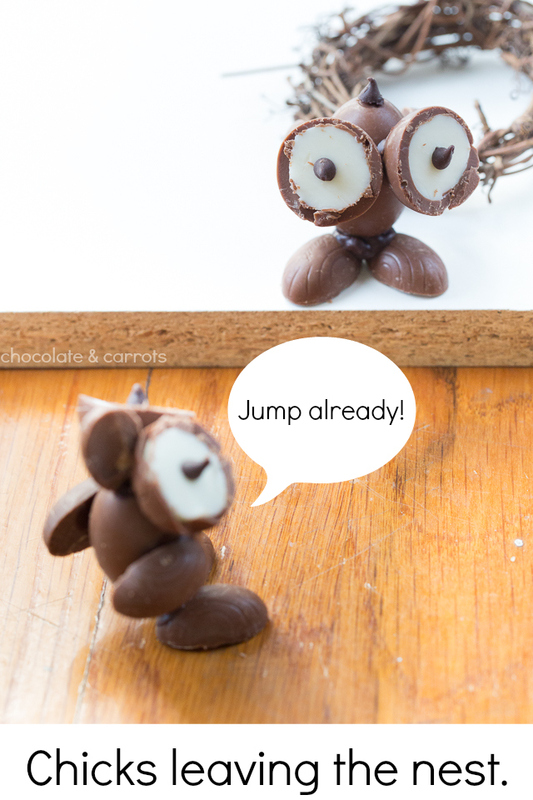 I hope you enjoyed all of my Lindt Chocolate Easter inspirations! Happy Easter! In a large mug, stir the white chocolate and milk. Microwave for 20 second intervals, stirring in between until the chocolate is melted. Stir in the oil, sugar, flour and baking powder until combined. Gently stir in the sprinkles. Microwave for 30 second intervals until the center is no longer wet (about 1 minute-1:15 minute). Allow to cool for at least 5 minutes and enjoy within 20 minutes. (Optional) Melt white chocolate and drizzle on top along with sprinkles. This post was sponsored by Lindt. I received samples for this post. All opinions are my own. Please read my disclosure policy for further information. You win the “most adorable post ever” award for this one! 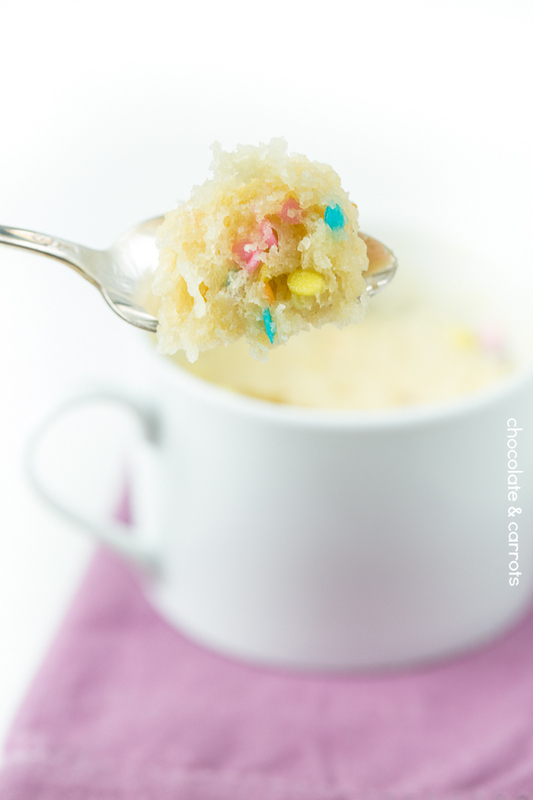 This easter white chocolate mug cake and easter inspirations looksawesomeness and yummy! Definitely will make this again, thank you for the recipe.